(B/L) Bill of Lading – This is the official legal document that represents ownership of cargo; the negotiable document to receive cargo; and, the contract for cargo between shipper and carrier. Box – That’s an informal word that you can use instead of the shipping container. This is how they are often referred to in the industry. Brake horsepower – The power of cars and other motors of engine-driven vehicles, including container ships, is often measured in brake horsepower. Break bulk– loose cargo, such as cartons, stowed directly in the ship’s hold as opposed to containerized or bulk cargo. The volume of break bulk cargo has declined dramatically worldwide as containerization has grown. Bulk cargo – commodity cargo that is transported unpackaged in large quantities. These cargos are usually dropped or poured as a liquid or solid, into a bulk carrier’s hold. Examples of bulk cargo are grain, seed, and coal and iron ore.
Carrier– any individual, company or corporation engaged in transporting goods. Charter rate – a rate for shipping freight agreed upon between the owner of a vessel and the person wanting to use the vessel (the ‘charterer’). CO2emissions – abbreviation for carbon dioxide emissions. CO2 results from the burning of fossil fuels such as petroleum. It is broadly considered to be a factor contributing to global warming. CO Shipment – An official document that, when stamped by the relevant authorities, provide the Country of Origin of the goods in transit. This is often required when shipping textiles. Consignee – is the entity that the shipper is sending the goods too. That’s typically you, the importer, but there are exceptions. (A consignee could be someone that acts in your name, for example.) Typically, you’ll see consignee along with the word consignor and consignment. The “consignor” is the shipper of your goods; the “consignment” is the actual goods being shipped. Container – a reusable steel rectangular box for carrying cargo that first came into common use about 50 years ago. Container terminal – a docking, unloading and loading area within a port designed to suit the sizes and needs of container ships. CUC(Chassis Using Charge) – is a duty for using chassis. Drayage – is a truck service that moves containers to and from a port. FEU – ‘Forty-foot Equivalent Unit’. This is a container that is the same height and width as a TEU but twice the length. As a result, it has twice the capacity. FCL – stands for a full container load. This means only your cargo occupies the container (rather than sharing space as is the case in LCL). It’s usually cheaper (from a landed cost perspective) and faster to ship via FCL, and the risk of damages or loss are decreased since your goods aren’t handled as LCLs. Freight rates– The charge made by a shipping line for the transportation of freight aboard one of its ships from one place to another. Gantry crane– a type of crane used to load and unload container ships. It lifts objects with a hoist and can move horizontally on a rail or pair of rails. The term “Incoterms” is short for International Commercial Terms. Specifically, they are trade terms published by the International Chamber of Commerce (ICC) and are internationally recognized by the shipping industry. As an importer, Incoterms are what you and your supplier use to define responsibilities and risks in a transaction. 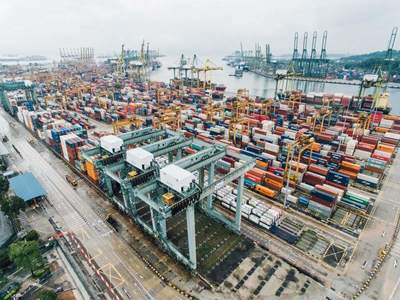 Intermodal – a system whereby standard-sized cargo containers can be moved seamlessly between different ‘modes’ of transport, typically specially adapted ships known as containerships, barges, trucks and trains. Because the cargo does not need to be unloaded from the container every time it is moved from one mode to the other it is a very efficient and fast system of transportation. International Convention for the Safety of Life at Sea (SOLAS) – prescribes the numbers of lifeboats and other emergency equipment that ships must have, as well as safety procedures including continuous radio watches when a ship is at sea. International Maritime Organization (IMO) – a specialized agency of the United Nations responsible for measures to improve the safety and security of international shipping and to prevent marine pollution from ships. It is also involved in legal matters, including liability and compensation issues and the facilitation of international maritime traffic. International Organization for Standardization (ISO) – an international standard-setting body composed of representatives from various national standards organizations. It was the ISO that prescribed the standard size of shipping containers to make global container trade more efficient. International Ship and Port Facility Security Code (ISPS Code) – a code agreed between the signatories of the 1974 International Convention for the Safety of Life at Sea (SOLAS) on minimum security arrangements for ships, ports, and Coast Guard agencies. 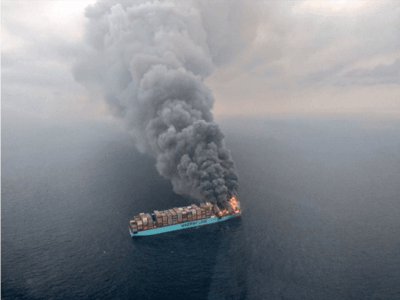 The Code was introduced by the International Maritime Organization (IMO), the overseer of the original SOLAS agreement, in the wake of fears of terrorist attacks on ships and ports after the September 11 terrorist attacks in the United States in 2001. Knot – a nautical measurement of speed equal to 1.15 miles or 1.85 kilometers per hour on land. The speed of ships is measured in knots. LCL stands for less than the container load. If you ship LCL, your shipment shares the container with cargo from other importers. Transit time is longer for LCL due to the consolidation and deconsolidation before and after ocean transit but is more economical for smaller shipments. Maiden voyage – the very first journey a ship makes after being delivered from the ship-yard. Manifest– a list of cargo being carried by ship as declared by the shipper. NVOCC – stands for non-vessel operating common carrier and is a type of Ocean Transportation Intermediary (OTI). Although the term NVOCC is often used synonymously with the term freight forwarder, there are some technical distinctions. NVOCCs act as “virtual” carrier and issues their own bill of lading. Per Federal Maritime Commission (FMC) requirements, an NVOCC must also publish and maintain a regulated tariff. Pallet– a term used for a load-carrying platform onto which loose cargo is stacked before being placed inside a container. It is designed to be moved easily by fork-lift trucks. Reefer – Industry term for a temperature-controlled container. Inside each one is a complex system of coils, wires, and electrical fittings, which are managed by a computer that controls everything from the temperature and humidity to ventilation and gas levels, all working to prevent the deterioration of fresh food or other sensitive goods over long distances and periods of time. Shipper – any person or organization paying for its cargo to be shipped from one place to another. TEU – ‘Twenty-foot Equivalent Unit’. This is the industry standard to measure containers. A 20-foot container’s dimensions are twenty feet long (6.09 meters), 8 feet wide (2.4 meters) and 8 feet six inches high (2.6 meters). These dimensions have been set by the International Organization for Standardization (ISO). US Customs-Trade Partner Against Terrorism (C-TPAT) – a voluntary supply chain security program led by U.S. Customs and Border Protection (CBP) and focused on improving the security of companies’ supply chains with respect to terrorism. Vessel – another word for a boat or ship. Container ships are sometimes referred to as vessels. World Customs Organization (WCO) – an intergovernmental organization comprised of customs administrations from 170 countries who participate to communicate and co-operate on customs issues. What is Empty Container Repositioning?